I feel honoured to have shared the challenging but stunning trails at Hakuba with all the other wonderful runners. The event is very special. From the opening ceremony to the closing party, there was much goodwill and generosity of spirit shared among all the runners. I love coming to Japan and I feel very privileged to have seen two very beautiful areas now; Mt Fuji and Hakuba. In both these locations, the people's charm, hospitality and my sense of feeling very welcomed has been very similar! Thank you to all the lovely people who I met at Hakuba and introduced themselves to me. Although I was not totally happy with my performance, this disappointment was quickly forgotten about as for me forming new friendships and spreading the trail running love is much more important. I was asked after the race in an interview about my high and low from the race. I think the low was on the second big mountain climb when I knew I could no longer keep up with the front runners and they slowly creept ahead. The high was at the end of the descent of the third climb as I was approaching the rice fields I saw a beautiful, big, brown eagle soaring gracefully over the valley. This picked me up and I from then on I ran strongly again for the rest of the race. I had a couple of good battles with some other runners towards the end which was fun! But looking back, there were lots of really enjoyable sections. I loved the first big descent where you had to pick your own path down the mountain. 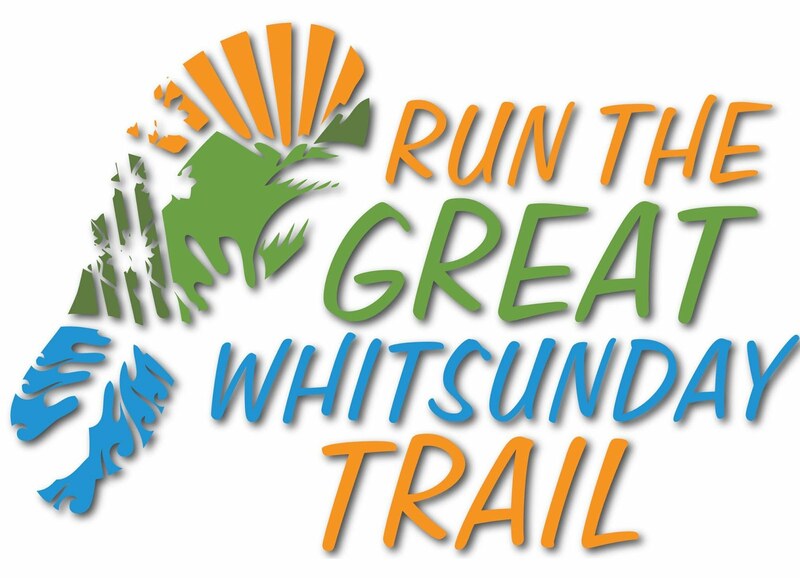 This reminded my of a fell running race I once did in the UK. I loved running along side the river and hearing the running water flow down the valley kept me very positive. A very special moment was running up to the shrine at the start of the third climb and passing through the cemetery. I got a really nice feeling emotionally through this lovely section. I loved the steep downhills too! I was glad I was wearing the Inov-8 X Talon 212s. The great grip allowed me to really bomb down the downhills. But my legs did pay for this in the days after the race! It was funny seeing the signs that said 'Slow Down'. My brain worked in the opposite way and they told me that this was a place to just go down as quick as I could! I have nothing but praise for the race organisers, the volunteers on the course and the local Hakuba residents. Their encouragement, support and committment was awesome. 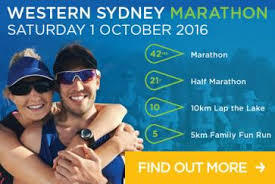 The organisation was seemless and from a runners point of view I felt very looked after in every respect. Thank you to all sponsors and supporters of this event. 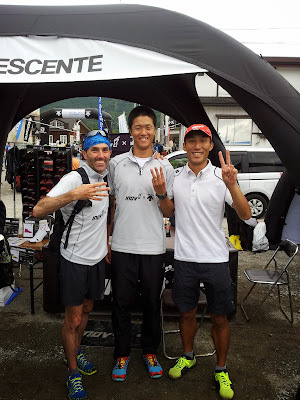 Congratulations to 田畑 幸司 for the fantastic win and a massive well done to my Inov-8 x Descente team mates 田畑 幸司 and 小出 拓則 for finishing 2nd and 3rd respectively. A big well done to my fellow Aussie Shona Stephenson for winning the womens title. It was also an honour to meet a legend of the sport, Tsuyoshi Kaburaki, who was all class all weekend in everything he did. He had so much time for everyone and did everything with a charming smile; including having a photo taken with me! I must thank Descente for the opportunity to visit and race in Japan. I hope to come back next April for UTMF again where I hope to improve on my 5th place this year. It will be a big test but one I feel I can achieve. I feel very at home on Japanese trails!